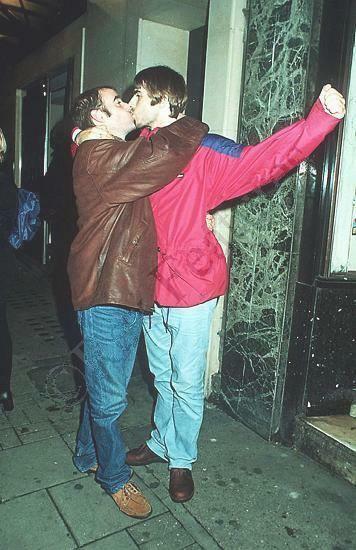 Lots of people have seen this infamous kiss between Liam Gallagher and Bono. 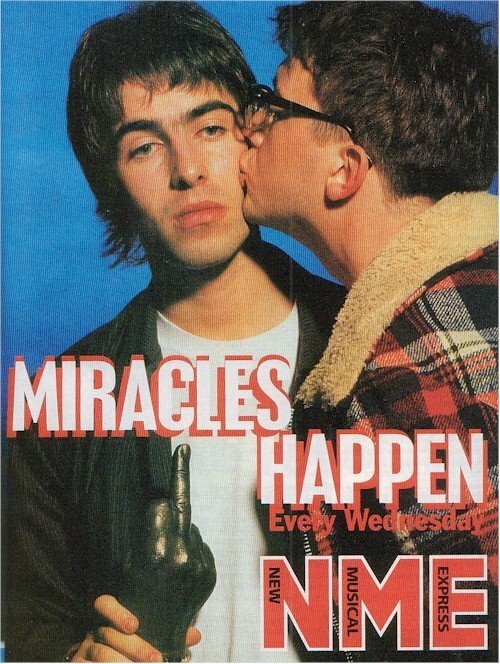 I thought that was it, but Liam seems to be up there in the ranks of Tommy Lee as a serial man kisser. 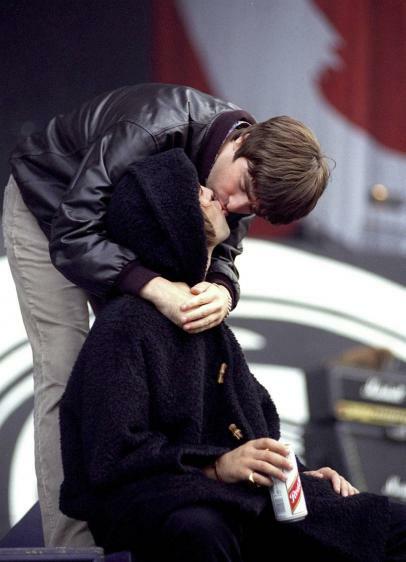 Here’s a photo of Liam kissing former Oasis guitarist Paul “Bonehead” Arthurs. 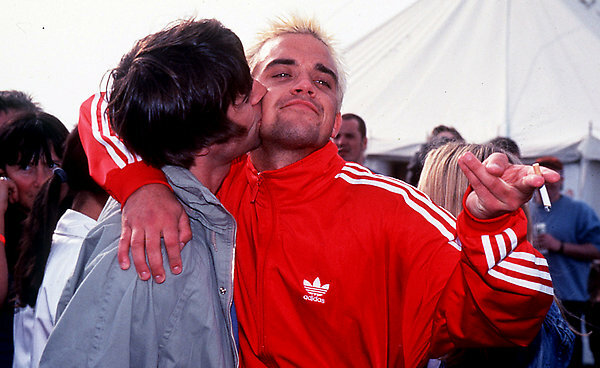 Liam smooching nemesis Robbie Williams. 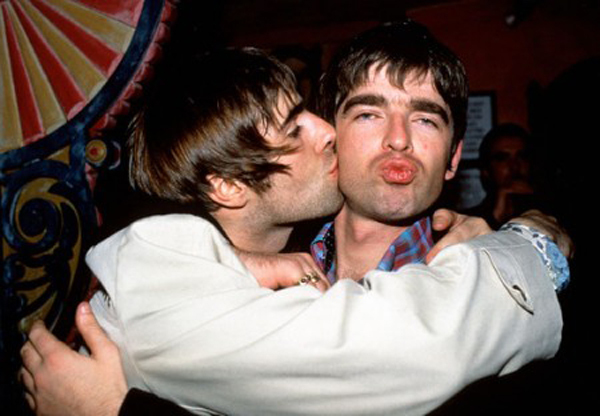 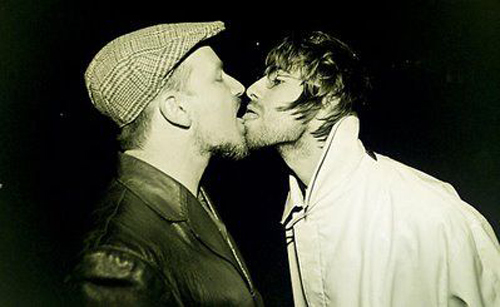 Graham Coxon from rival band Blur kissing Liam. 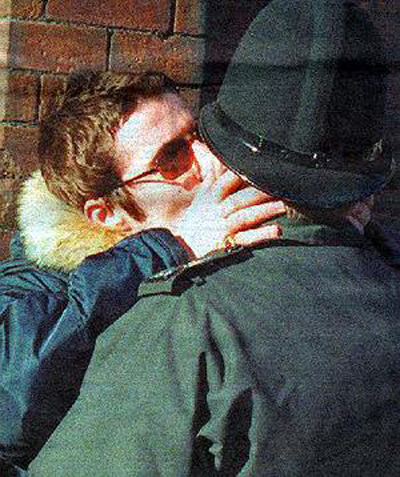 Liam’s affection are not limited to friends and rival bands, here is a random shot of Liam kissing a police officer on the street.